It happened in band class. My friend’s seventh-grade daughter was setting up her instrument when the boy next to her whispered, “Hey, you wanna vape?” and he waved a JUUL — an e-cigarette that quickly vanished into his closed fist. In response to this growing health concern, the Colorado Department of Public Health and Environment has created a suite of materials to help parents and other adults who spend time with teens understand the risks of vaping, and prepare them to have informed conversations with teens about it. Vaping is the act of inhaling a vaporized liquid from an electronic device. It is the latest trend in tobacco use, and it’s alarmingly prevalent among today’s teens. Despite myths that vapes only contain “harmless water vapor,” that is not the case. There are hundreds of different vape products, which may include a range of ingredients including nicotine, chemical additives, flavorings and THC, the active ingredient in marijuana. 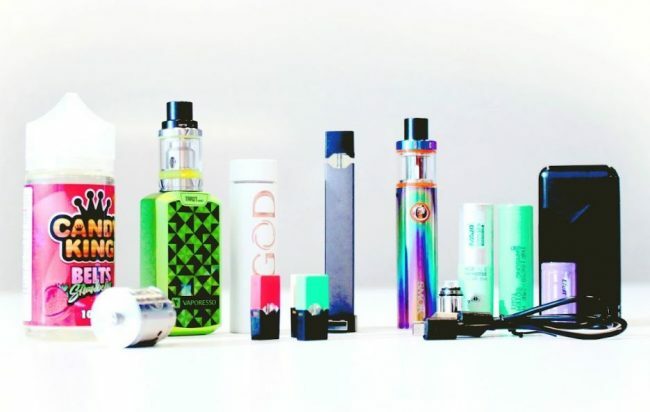 These devices go by many names including e-cigarettes, smokeless cigarettes, vaporizers, vape pens, mods, tanks, cigalikes, JUUL, e-hookah and hookah pens. Flavors are chosen that entice young appetites, like cookies & cream, cups o’ peanut butter and bubble gum. Not only are vape products hard to detect if you see them in your kid’s backpack, but they don’t have the same obvious odor giveaway as smoking cigarettes and marijuana. In fact, many claim you can’t tell the difference between smelling secondhand vapor that contains marijuana and vapor that does not. Especially concerning, vaping causes greater risks for adolescents. Nicotine, the addictive ingredient in cigarettes, is also in many vape products and 100 percent of JUULs. Did you know one Juul pod contains as much nicotine as an entire pack of cigarettes? The chemical has a negative impact on adolescent brain development, causing lasting cognitive and behavioral impairments, including effects on working memory and attention. Additionally, vaping is a predictor of future cigarette smoking. A study of 12th grade students who had never smoked a cigarette found that those who had reported recent vaping were more than four times (4.78) more likely to report past-year smoking one year later. Sometimes it may feel like youth aren’t listening to what you say but research shows adults can have a big influence on their behavior. What you think matters to the young people in your life. As an adult they trust, you can impact their choices. What you say, and the example you set, make a difference. The following tips can help you get talking and the tip sheet can be downloaded here. Make them feel heard. Consider their opinions and keep the conversation going. Even if you’ve talked about this topic before, their issues and opinions change all the time. Plus, as youth get older, they can feel more pressure from friends and classmates. 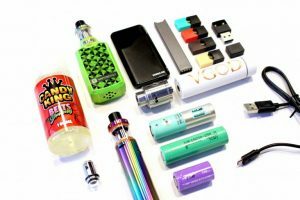 Because of the wide array of discreet vape devices, it is easier than ever to hide them and vape at school or during school activities. Get a sense of what vaping devices look like. Most vapes contain nicotine, even many that say “nicotine free” on the label. Most teens start out thinking they can stop whenever they want and won’t ever become addicted. And lots more start smoking cigarettes, a product that kills half its users. In fact, a teen who vapes is four times more likely to start smoking. Despite what teens may hear, vaping is not just “harmless water vapor.” Most vapes contain nicotine, artificial flavoring and other chemicals. Stress the fact that teens who JUUL or vape nicotine or THC may have trouble learning and memory issues, as both nicotine and THC have negative effects on adolescent brain development. For additional information, go to Tobacco Free Colorado at: TobaccoFreeCO.org/know-the-facts/ and on social media. Twitter: @TobaccoFreeCO; Facebook: Tobacco Free Colorado; Hashtag: #TobaccoFreeCO and #KnowtheFacts.